Rapid population and economic growth quickly degrade and deplete forest resources in many developing countries, even within protected areas. Monitoring forest cover change is critical for assessing ecosystem changes and targeting conservation efforts. Yet the most biodiverse forests on the planet are also the most difficult to monitor remotely due to their frequent cloud cover. To begin to reconcile this problem, we develop and implement an effective and efficient approach to mapping forest loss in the extremely cloud-prevalent southern Ghana region using dense time series Landsat 7 and 8 images from 1999 to 2018, based on median value temporal compositing of a novel vegetation index called the spectral variability vegetation index (SVVI). Resultant land-cover and land-use maps yielded 90 to 94% mapping accuracies. Our results indicate 625 km2 of forest loss within the 9800-km2 total mapping area, including within forest reserves and their environs between circa 2003 and 2018. Within the reserves, reduced forest cover is found near the reserve boundaries compared with their interiors, suggesting a more degraded environment near the edge of the protected areas. A fully protected reserve, Kakum National Park, showed little forest cover change compared with many other less protected reserves (such as a production reserve—Subri River). Anthropogenic activities, such as mining, agriculture, and built area expansion, were the main land-use transitions from forest. The reserves and census districts that are located near large-scale open pit mining indicated the most drastic forest loss. No significant correlation was found between the magnitudes of forest cover change and population density change for reserves and within a 1.5-km buffer surrounding the reserves. While other anthropogenic factors should be explored in relation to deforestation, our qualitative analysis revealed that reserve protection status (management policies) appears to be an important factor. 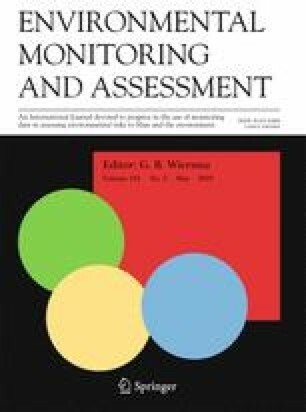 The mapping approach described in this study provided a highly accurate and effective means to monitor land-use changes in forested and cloud-prone regions with great promise for application to improved monitoring of moist tropical and other forests characterized by high cloud cover. The anonymous reviewers provided constructive and helpful suggestions during the review process. This study was supported by the Interdisciplinary Research in Earth Science (IDS) program of the National Aeronautics and Space Administration (NASA; award number G00009708). Planet Team and Planet Application Program Interface: In space for life on earth. San Francisco, CA. 2017 URL https://api.planet.com (accessed on August 2018).